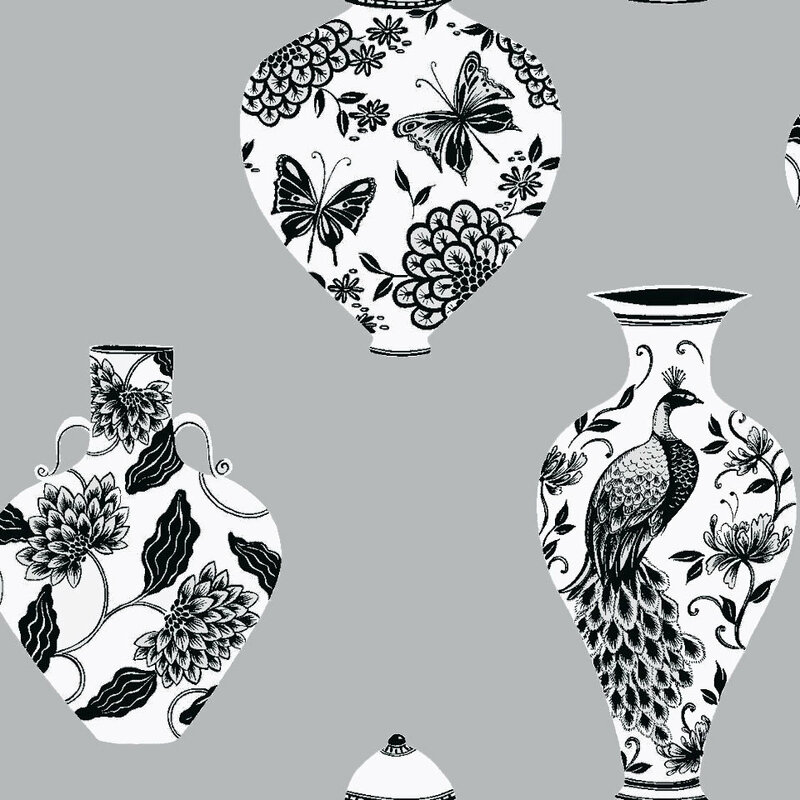 Stunning ancient vases of the Orient, statement pieces of porcelain - showing in black and white on a metallic silver. Other colour ways available. Please request a sample for true colour match. Paste-the-wall product.